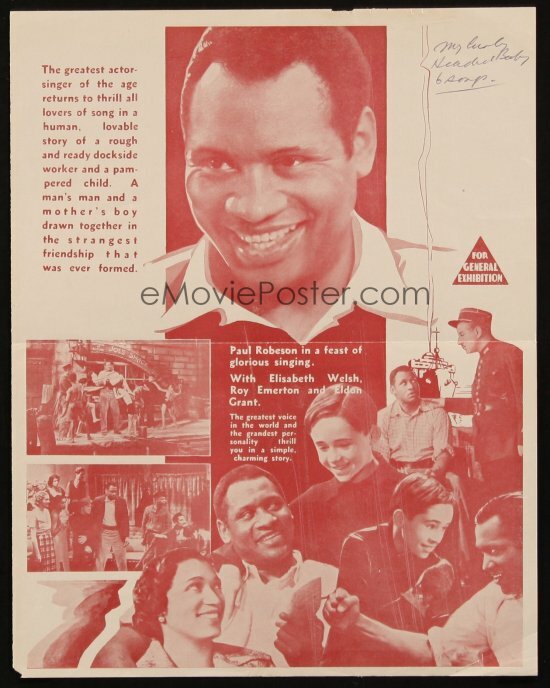 By anyone's definition Paul Robeson was a Renaissance man, a social trailblazer, an extremely talented artist, and a political activist, but unfortunately, because of his controversial values and socio-political views, he found himself denied employment and ultimately blacklisted. 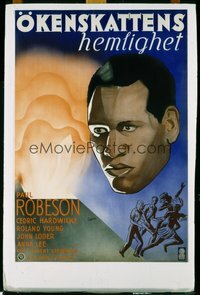 A minister's son, Robeson's family moved from Princeton to Somerville, NJ, where he excelled as a member of the glee club, acted in productions of OTHELLO and JULIUS CAESAR and lettered in three sports. After winning a statewide academic award, he received a full academic scholarship to Rutgers, only the third African-American to attend the school. While there he sang, played Shakespeare, graduated Phi Beta Kappa and was class valedictorian while lettering in several sports including making All-American honors for both his junior and senior years. 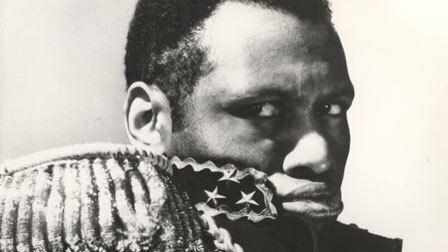 Robeson later received a law degree from Columbia Law School but resigned from his law firm when he found racial discrimination a barrier. 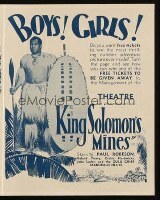 After spending two years in the fledgling NFL, he decided to devote himself to show business and made his film debut in Oscar Micheaux's BODY AND SOUL in 1924. 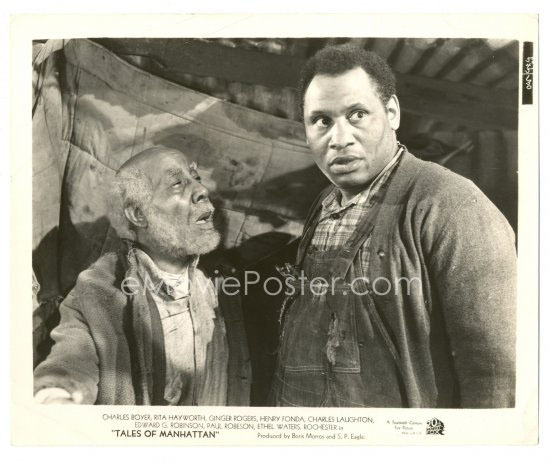 He was active in the Harlem Renaissance with stage appearances in Eugene O'Neill's ALL GOD'S CHILLUN GOT WINGS and THE EMPEROR JONES, but it was his stage appearances in Britain in OTHELLO and SHOW BOAT that cemented his fame and popularity. 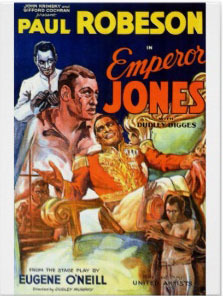 He did return to the U.S. to make a critically acclaimed, albeit low budget ($10,000), adaptation of THE EMPEROR JONES in 1933 as Brutus Jones, which became his most iconic screen role. 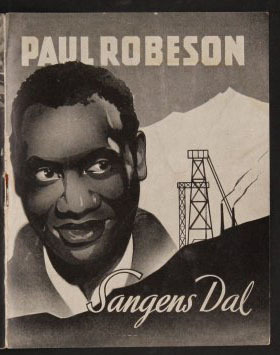 Robeson saw no future for improved roles for Black-Americans in Hollywood and embarked on a very successful series of British films: SANDERS OF THE RIVER (1935), SONG OF FREEDOM (1936), BIG FELLA (1937), KING SOLOMON'S MINES (1937), PROUD VALLEY (1940), and others. 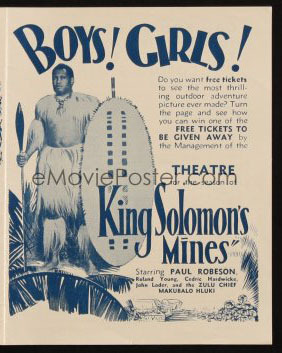 (above at left) Swedish poster for KING SOLOMON'S MINES. (above at right) Heralds for some of Robeson's British films. 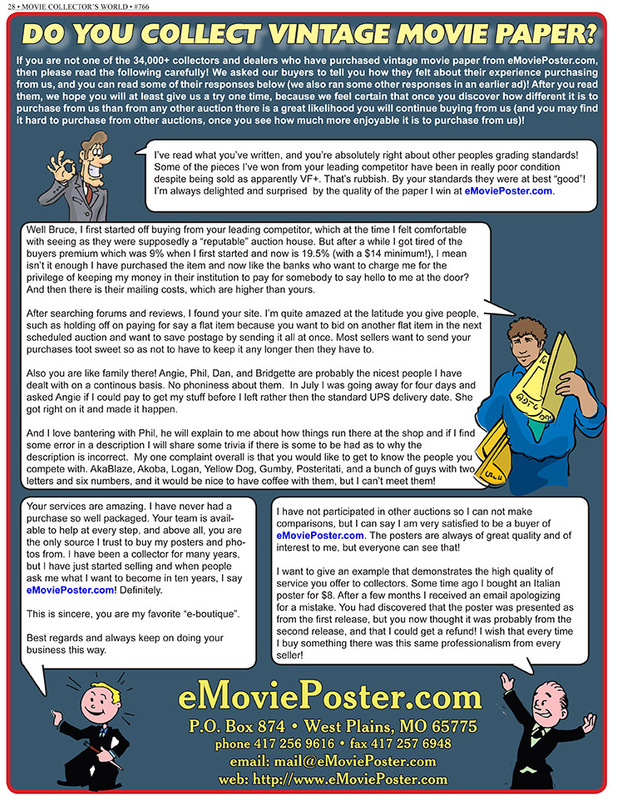 (below) Re-release posters for SONG OF FREEDOM and JERICHO. 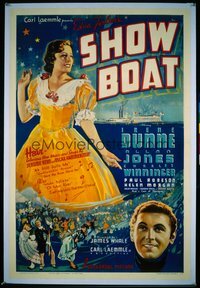 He did return to Hollywood in 1936 to appear James Whale's acclaimed film adaptation of SHOWBOAT. 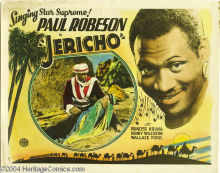 Even though Robeson's rendition of "Ol' Man River" was a show stopper, he (or this scene) was not featured on this U.S. one sheet shown above, although there is a close-up of him singing this song on the Czech poster seen above. He did not make a film in Hollywood again until 1942 when he signed on to an all-star cast that included Charles Boyer, Henry Fonda, Rita Hayworth, Ginger Rogers, W.C. Fields, Charles Laughton, Edward G. Robinson, and other big names in Fox's anthology film TALES OF MANHATTAN. Robeson felt the part had been misrepresented to him and was unhappy with what he considered yet another stereotyped role. 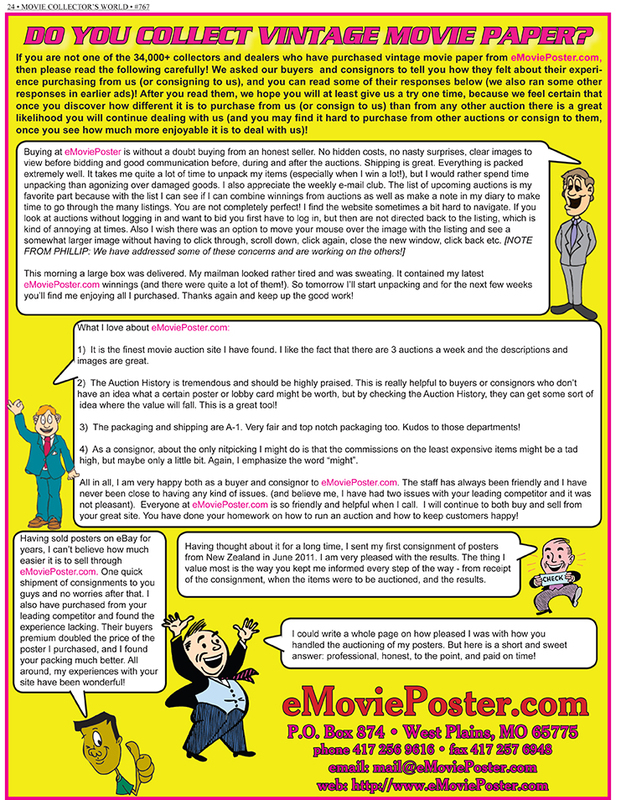 He now was convinced that African-Americans could not expect fair treatment in Hollywood. He returned to the stage and became a very controversial figure, especially in his support of the Soviet Union. He returned to Broadway with a critically acclaimed revival of OTHELLO with Uta Hagen and Jose Ferrer. 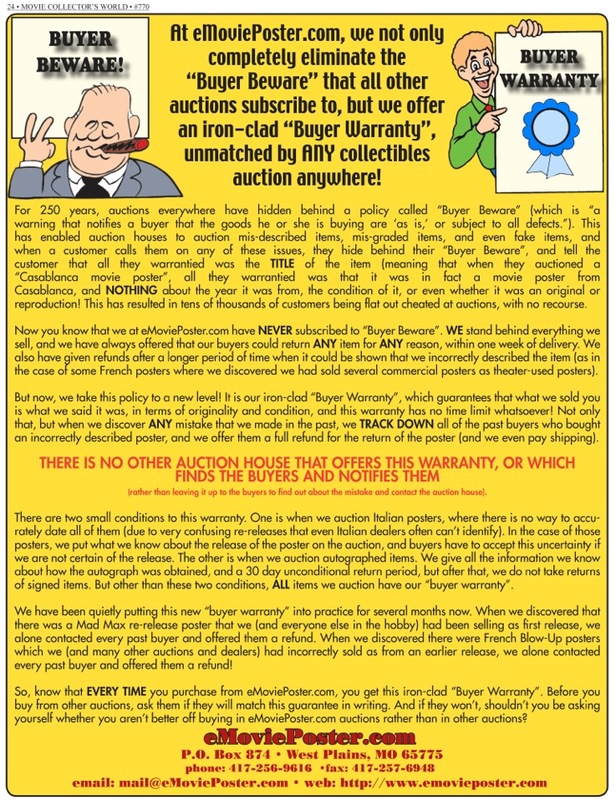 In the post-World War II atmosphere he became active in many unpopular political causes and was blacklisted after refusing to co-operate with HUAC during the McCarthy Era. Ultimately his passport was revoked. 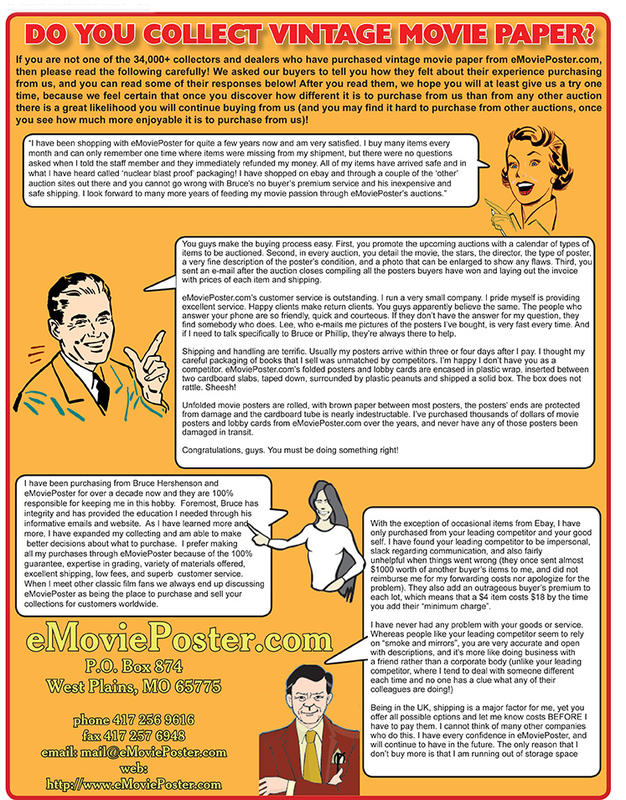 He did return to the concert circuit in the late 50s but when a variety of health programs began to plague him in the early 60s, he retired. He passed away in 1976 at the age of 77. 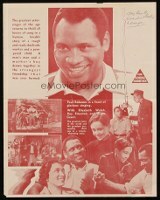 In 1978 James Earl Jones began his one-man show as Paul Robeson. 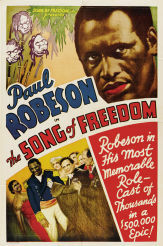 Initially the production encountered objections from the Black artistic community and members of Robeson's family, but when it was revived ten years later, the controversy had lifted. 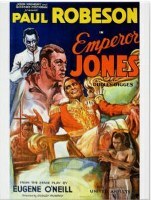 In 2011 Jones received the Paul Robeson Award from Actor's Equity for his work."